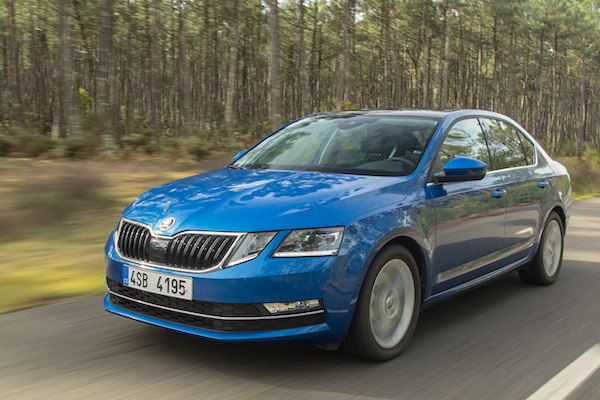 Best-seller over Q3, the Skoda Octavia is now #2 year-to-date below the Toyota Prado. This is our fourth update on Georgia, a market exclusive to BSCB – the Central Asian country, not the U.S. State. Over the 3rd Quarter of 2018, 1.076 new vehicles found a new home in Georgia, lifting the year-to-date volume to 2.746. Toyota continues to dominate Georgian sales head and shoulders with 34.5% share vs. 38.2% so far this year. The star of the period is Skoda, shooting up from #21 in Q2 directly to #2 in Q3 with 17.9% share and now #3 YTD vs. #5 over the Full Year 2017. Kia is up one spot to #3, distancing Ford (+10) and Lada (+2) while Renault (-1), Mercedes (-4) and Hyundai (-8) lose ground vs. their Q2 ranking. Suzuki is up four spots to break back into the Top 10 at #8, leading to a #10 ranking YTD, like in 2017. Model-wise, the Skoda Octavia takes the lead over the Quarter with an impressive 14.3% share, but the Toyota Prado, #2 at 11.2% in Q3, remains by far the best-selling nameplate in 2018 with 9.8% share vs. 5.8% for the Octavia now up to #2. The Toyota RAV4 (5.1%) and Lada 4×4 (4.8%) make it three SUVs in the Top 4 ahead of the Toyota Prius, Land Cruiser 200, Corolla and C-HR. Add the Hilux (#10) and we have seven Toyotas in the Q3 Top 10 in Georgia. Full Third Quarter 2018 Top 35 All-brands and Top 140 All-models below.